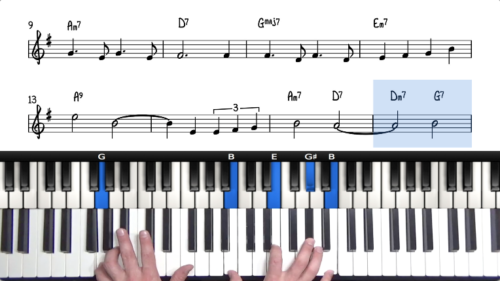 Welcome to this jazz standard lesson on the tune "Just Friends". This is a great tune to improve your understanding of the 251 progression and voice leading of guide tones which is the b7ths dropping to the 3rd of the next chord. We’re going to pay special attention to this voice leading in all of the 25 and 251 progressions. This movement is the foundation of the harmony, and so having a solid understanding of this will give you strong foundations in which to build extended and altered chord voicings. 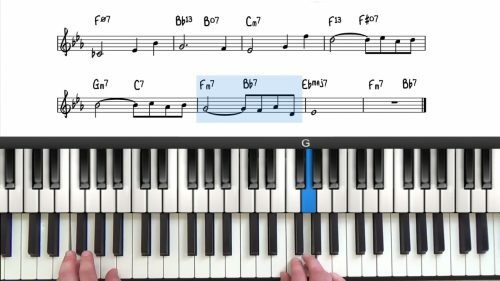 After you have mastered this basic arrangement, check out the related lessons below where we create a full solo piano arrangement of the tune incorporating some more advanced jazz theory. Written in the key of Eb Major, Tenderly follows a 32 measure A – B1 – A – B2 form and has an impressionistic character similar to early Debussy. 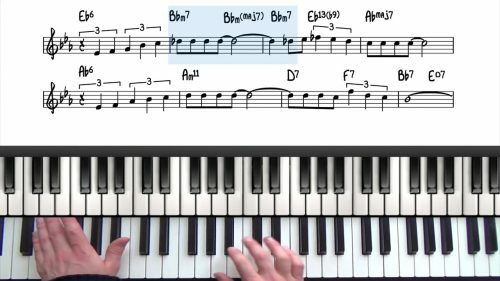 Before playing a new tune, analyse the chord changes to spot common progressions such as 25s and 251s. As an exercise, you can annotate the lead sheet you are working to highlight the 25s and 251s. Remember that 251s do not always appear in their complete form - As we cover in this tutorial, it's very common to find incomplete 25s and 51s which are smaller fragments of the complete 251. Being able to spot the smaller fragments of this common progression will help you read from lead sheets.